Hands on with Konami's FIFA killing franchise. It was never about just “making up the numbers” for Konami and its long running PES franchise, but for a while there it was hard to look at the series any other way. Battling a FIFA juggernaut that had the licenses and big platform support — think the Xbox One Legends exclusivity — it’s been a hard road for the Winning Eleven crew, fighting to win back the respect that had slowly dwindled after a decade of solid albeit forgettable football entries. With PES 2018 and following on from the fantastic PES 2017, Konami has once again upped the ante, delivering a football experience that feels both familiar and refreshingly unique. The foundations were set with PES 2014, a game that strangely skipped the newly released Xbox One and PS4, but saw perhaps the greatest shift in gameplay and graphical offerings for the franchise since PES 6. Driven by a Fox Engine that was ahead of its time, the end result was an at times clunky delivery, but one that at least showcased Konami’s willingness to take risks. That’s what you need to do when you’re so far behind the opposition. 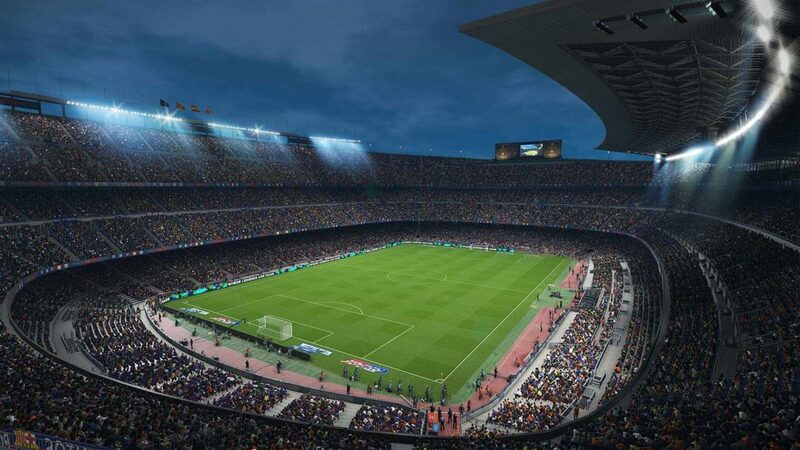 Over the next three entries, the PES team tweaked, improved and refined a game that has high hopes to dominate the genre, at least from a purely gameplay perspective. Speak to the most dedicated PES purest, and they’ll be adamant that PES 2017 wasn’t just the best series entry in years, but the best football game in years. 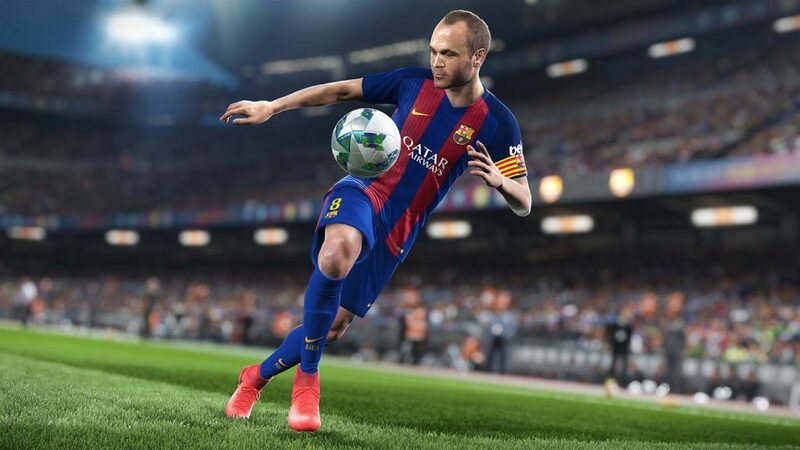 It’s hard to argue against that: while PES continues to improve its licensing and mode offerings — it’s still blindly looked at by the wider gamer community as that “other” football game — it has firmly established itself as one of the most complex, detailed, and realistic sports games on the market, and it only took one game to achieve that. 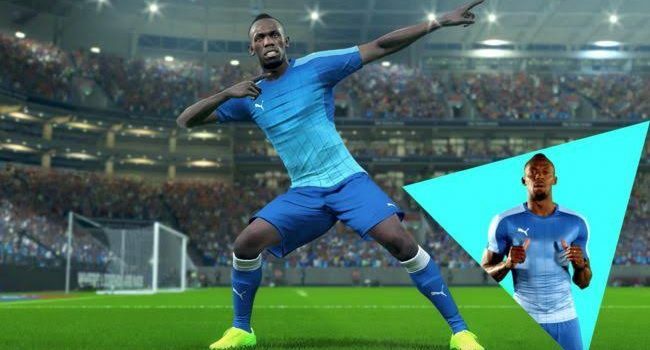 PES 2018 seems to continue that fine form. It’s smoother, sleeker and purer. One thing I’ve always loved about PES, especially when compared to FIFA, is that it makes scoring a goal feel like a genuine achievement, as it should. Goals have always seemed like a formality in a match of FIFA, but in PES, it’s more like a natural reward for good, structured play. After 20 minutes with PES 2018 — admittedly very brief but enough to get a grasp of this year’s fundamentals — it’s clear that this scoring philosophy remains. Players battle and push for position at aerial contests, punishing you for overreaching with a poorly timed header; reaction times are seemingly “slow”, but are more of a technical reflection of the physical positioning of a player; defensive structure and awareness play such a role that the briefest of brain fades can giving the opposition a high percentage shot on goal. It’s easy to get caught up and frustrated by the slower, seemingly sluggish performance of players, but the general pace of a match in PES has been improved year on year, and once again I feel PES 2018 rewards meticulous strategy and patience. Recovery times seem to be about the same as they were in last year’s game — they were much improved last year, and may be slightly shorter — and there are few aerial and physical bouts of weirdness that plagued the franchise in the early years of the FOX era. I didn’t spend enough time to really gauge the performance of keepers, but one thing I did notice was that softer shots from an angle were being dropped and parried down more often than not, which seems like a regression on last year’s game. A number of times the AI opposition pounced on a loose ball slapped back by the keeper, scoring and leaving me frustrated as to why the ball wasn’t straight up caught. It seemed slightly inconsistent in that sense: on one occasion, a bullet free kick out of the box was caught by a diving keeper. Moments later, the same keeper dropped a short, soft hit from the corner. I see that the challenge here factors in many variables that the player doesn’t see or appreciate, but I can’t say whether or not one shot was definitively more powerful than the other. I suspect this may be a product of a more refined physics engine that balances the position of the keeper with the pace, angle and form of a shot on goal. It didn’t take long for me to notice just how much sleeker the game looks overall compared to last year, with stunning players models and animations that put it right at the top of the genre. Combined with the continued good form of the gameplay fundamentals — albeit with some questionable keeper decisions — I can confidently say that PES 2018 will satisfy series diehards, and perhaps even attract some fans from that “other” franchise. It certainly deserves to.